Simply known as Aretha, the daughter of the late Rev. C.L. Franklin, she has produced a discography that stretches across five decades, from 1956’s Precious Lord, which the Rev. Franklin released himself and has been reissued several times since; to 2011’s A Woman Falling Out Of Love, which Aretha issued through her own label, Aretha’s Records, and distributed exclusively through Wal-Mart. Most fans tend to stick to her classic hit singles, from “Think” and “Something He Can Feel” to “Jump To It” and “A Rose Is Still A Rose.” Out of the three dozen or so albums she made, only a few receive serious critical attention: I Never Loved A Man The Way I Love You, the 1967 album that made her a superstar; 1968’s Lady Soul; and Amazing Grace, one of the biggest-selling gospel albums of all time. However, it’s worth digging beneath the Aretha myth for a closer listen. Born in 1942, she was in thrall to her father, a civil-rights pioneer whose style of preaching influenced the Rev. King, and hosted a nationally syndicated radio show. (Her late sisters, Erma and Carolyn, were accomplished singers in their own right, and would later write songs and sing backing vocals for Aretha.) By the time Aretha was in her teens, she was accustomed to performing for the Rev. Franklin’s gospel friends at his house, including Mahalia Jackson (who changed Aretha’s diapers as a baby), Sam Cooke and Clara Ward. When Cooke became a pop star in the late 1950s, he often took Aretha on his tours. On Precious Lord, it’s stunning to hear the young Aretha exhibit the same gifts she would unveil to the world a decade later, from her accomplished use of melisma, and an ability to extend and rearrange vocal melodies, to the brilliant way she accompanies her vocal flights of fancy on piano. John Hammond, the famed talent scout and producer whose discoveries range from Billie Holliday to, later, Bob Dylan and Bruce Springsteen, signed her to Columbia Records in 1960. (Interestingly, Berry Gordy tried to recruit her for Motown Records, but her family ruled against signing with the then-small, fledgling label.) Her eight Columbia albums are widely derided for their emphasis on pop chestnuts like “Over the Rainbow” (Aretha) and “Rock-a-Bye Your Baby With a Dixie Melody” (The Electrifying Aretha Franklin), but she never abandoned her love of the great American songbook, even after she evolved from a jazz-pop singer in the mold of Dinah Washington to a deep soul pioneer. The worst that can be said about these early albums is that they lack spark, whether it’s the producers with whom she worked, or her inability to create an emotional connection in her performances, or the material itself. It doesn’t help that many of them are marred by gooey string arrangements typical of sophisticated 60s cabaret pop. Aretha, which she recorded with pianist Ray Bryant and several jazz musicians, may be the best of the lot, since Hammond arranges spare accompaniment that puts a spotlight on her voice. When Aretha’s contract with Columbia expired, she signed with Atlantic Records. Producer and label co-founder Jerry Wexler, inspired by his success distributing Memphis-based Stax Records, decided to record a “Southern” album with Aretha at Rick Hall’s Fame Studios, the site of so many Stax classics by Otis Redding, Sam & Dave, and many others. But only the title track of I Never Loved A Man was recorded at Fame Studios. An altercation involving Aretha’s volatile former husband-manager, Ted White, led to Wexler moving the sessions to New York City. However, Wexler and the group of musicians whom would soon be known as the Muscle Shoals sound created a template that Aretha would follow for the next five years, eight studio albums, and three live albums. Her reputation largely rests on these performances made between 1967 and 1972, when she remarkably synthesized blues, gospel and jazz into a blueprint for soul music that resonates today. Listening to each album individually, it’s amazing how many of the songs began as signature tunes for others: Dionne Warwick’s “I Say A Little Prayer,” Simon & Garfunkel’s “Bridge Over Troubled Water,” Ben E. King’s “Spanish Harlem” and, of course, Otis Redding’s “Respect.” They’re a testament to her musical genius, and the way she stamps her imprint on them through sheer personality. 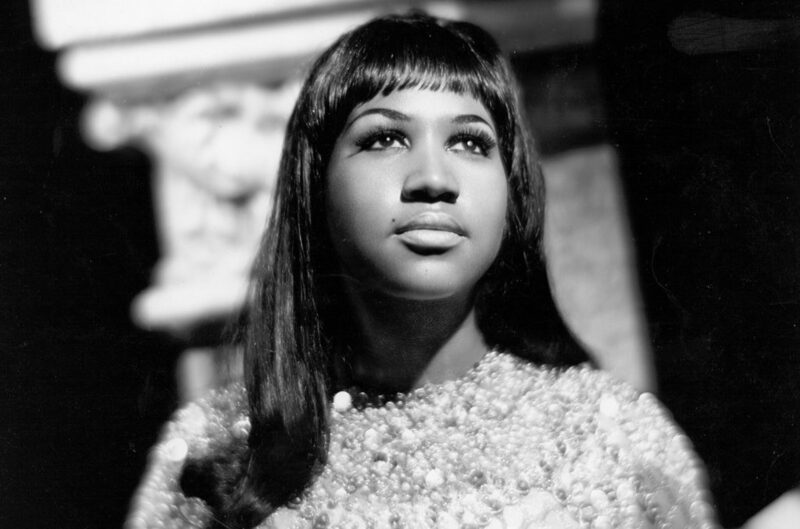 Still, Aretha is unabashedly a pop creature, and her post-1972 output has led her down numerous detours, from noble but failed experiments like 1973’s Quincy Jones-produced Hey Now Hey (The Other Side of the Sky); to successful contemporary R&B forays like her two albums with Luther Vandross, 1982’s Jump To It and 1983’s Get It Right, and 1998’s A Rose Is Still A Rose. She may be living history, but she has rarely felt burdened by it. Each new release is an opportunity to “bop,” as she once put it, and try on something new. It makes for an intimidating and haphazardly brilliant catalog of music that rewards deep listening. Aretha marks the future Queen of Soul’s first professional recording. Collaborating with pianist Ray Bryant, Aretha sings blues and gospel (“Are You Sure”) as well as the hoary pop standards (“Over the Rainbow”) that give her early albums such a bad reputation. But unlike future Columbia releases that were drenched in strings, this album has jazzy grit, thanks to Bryant and famed producer John Hammond. The 18-year-old Aretha already had an indelible voice, which she unleashes on “Won’t Be Long,” and her loopy delivery on “Love Is The Only Thing” hints at her talent for ad-libbing. “They say it’s a man’s world, but you can’t prove that by me,” sings Aretha Franklin on “Do Right Woman, Do Right Man,” a tart answer to James Brown’s then-current hit “It’s A Man’s Man’s Man’s World.” The once and future queen of soul then turns Otis Redding’s “Respect” into a proto-feminist anthem, rhapsodizes her “Dr. Feelgood,” and closes with “A Change Is Gonna Come,” a tribute to her mentor Sam Cooke. Recorded with the famed Muscle Shoals Studios musicians and producer Jerry Wexler, I Never Loved a Man hums with Southern blues and gospel. It’s the sound of history being made. Aretha Arrives was released mere months after the album that made her a superstar, I Never Loved a Man the Way I Love You, so it is often overlooked. And Aretha gets off to a rough start with a mediocre cover of the Stones’ “Satisfaction.” This set is more pop-oriented than her classic soul debut, but there are plenty of highlights. Torchy ballads like “Never Let Me Go” and “You Are My Sunshine” demonstrate her excellent voice. “Prove It” is a diamond that should have been a hit. And “Baby I Love You,” the big single from Aretha Arrives, needs no introduction. This is Aretha at the peak of her powers, with seminal hits like “Chain of Fools” and “(You Make Me Feel Like) A Natural Woman.” She renders excellent interpretations of The Impressions’ “People Get Ready” and the Young Rascals’ “Groovin,” blows through the brilliant torch ballad “Ain’t No Way,” and playfully drops some slang on the goofy “Niki Hoeky,” a popcorn soul groover about an “ol’ booga boo” she digs on the “scooby doo.” An Eric Clapton solo near the end of “Good to Me as I Am to You” is the cherry on top of a near-flawless suite of classic Southern soul. Aretha’s follow-up to her classic Lady Soul is packed with dance floor hits. She keeps the popcorn soul piping hot on “Think,” “See Saw” and “A Change,” and her heartrending cover of Burt Bacharach’s “I Say A Little Prayer” is arguably superior to Dionne Warwick’s original. Longtime fans will recognize her take on Sam Cooke’s “You Send Me” as a concert favorite, and “I Can’t See Myself Leaving You” closes with a bittersweet but hopeful note. While Aretha Now doesn’t have the aching soul ballads that made her famous, it’s a key installment in her classic late-’60s canon. This is the only Aretha album from her late-’60s Atlantic heyday with no hit singles; it may be her most underrated album. Vocally, she’s in fine form as she sings jazz numbers like “Crazy He Calls Me” and “Pitiful,” and pop covers like Sam Cooke’s “Bring It On Home To Me.” It’s marred by Arif Mardin’s dated show-tune arrangements, which seem like a relic of her earlier Columbia failures, not the soul renaissance she led at the time. But it rewards deep listening because of Aretha’s deep commitment to these songs, which results in some wonderful vocal performances. “Rise, Sally, rise,” sings Aretha on the title track as she subverts Wilson Pickett’s “Mustang Sally” double entendre. But the Queen of Soul is no uptight choir girl. On B.B. King’s “The Thrill Is Gone,” she cries, “Thank God almighty, I’m free at last,” knowing that MLK meant something different than the end of a love affair. Dabbling in blues, gospel soul such as “Pullin’,” and pop like the classic hit “Don’t Play That Song,” Aretha is her usual brilliant self. It’s not a perfect album — a few cuts like “One Way Ticket” aren’t good enough to hold interest — but it’s a memorable one. The 1970s were topsy-turvy for Aretha: She started the decade as the biggest soul star and ended it lost in the disco forests. But this soundtrack to the modestly charming 1976 musical was an oasis that gave her a much-needed hit. Despite Curtis Mayfield’s lachrymose string arrangements, he wrote some incredible tunes, from the classic ballad “Something He Can Feel” to the ’60s girl-group homage “Hooked on Your Love” and the groovy “Jump” (which the Pointer Sisters ripped off years later). The centerpiece is “I Get High,” a drug addict lament that Aretha elevates to Greek tragedy. Aretha Franklin was 43 when this album was released, but you wouldn’t know it from her girlish and flirtatious performance. “So drop the top baby/ And let’s cruise on into/ It’s Better Than Ever Street,” she purrs on the album’s biggest hit, “Freeway of Love.” Her powerhouse gospel vocals are present, too, especially on the title track, “Integrity” and “Another Night.” Who’s Zoomin Who? has a dated pop sound, and guest Peter Wolf from the J. Geils Band’s faux Prince vocals on “Push” are embarrassing. But don’t begrudge the Queen of Soul for staying relevant during the neon-and-pastel 1980s. Respectfully and honestly — please amend this to include “Amazing Grace”, her live gospel album recorded in 1972. When all is said and done, and out of all the magnificent music she made, this may well be her one unqualified masterpiece. When I wrote this post for Napster, the service already had reviews for Amazing Grace, Live at Fillmore West, and To Be Young, Gifted and Black. That’s why you don’t see reviews for those here. But given her recent passing and the subsequent traffic this post has received — which I’m very grateful for — I will try to cover them shortly.